Healthcare is a human-intensive, regimented industry with a lot of protocols and processes. This is also the problem statement because as much as healthcare is demanded in the country, there are not enough ways to serve it. Digital helps us reduce these constraints in healthcare delivery. To put it in simple terms, digital means the utilization of technologies that can transform healthcare delivery. In this blog, we will take a close look at mobility, cloud & telemedicine in the healthcare industry to achieve the goal of digitization the healthcare. Healthcare traditionally has been wary of cloud services, but improvements in security and more efficient mobile device management is helping boost cloud adoption. Today, mobility is transforming healthcare. It is not just empowering health organizations with mobile devices and apps but also significantly enhancing the patient/provider relationship. Mobility enables providers to deliver better care. The increasing use of mobility in healthcare is improving efficiencies, enhancing the patient experience both inside and outside the hospital, optimizing communication and collaboration between patients and healthcare providers, and providers and their peers. It is predicted that Patient monitoring via mobile devices would be saving significant healthcare costs in the near future. Mobility and cloud access has helped tremendously in increasing accessibility for patients and doctors alike. Hospitals, insurance companies, and doctor’s offices are now storing patient medical records in the cloud instead of using paper charts, with patients able to access test results online 24/7. There are benefits of mobility such as management of Post discharge cases or in Management of Chronic Disease cases. Similarly, for post-surgical care, Mobility could be highly beneficial for the Patients. This is enabling the healthcare providers to limit readmissions and improve the quality. Gathering data from patient devices on a daily basis helps in generating valuable insights and detailed information for the physicians. This is helping in significantly driving down costs and improving delivery of care. 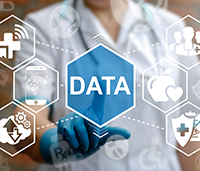 One of the major challenges with mobility and cloud advancement in healthcare is managing and securing patient data, and the challenge is more complicated than ever before. As per popular anecdote, “the black-market value of medical data is greater than even that of financial information.” It is no exaggeration when it is said that no industry is more focused on virtualization security right now than health care. HIPAA laws relating to patient privacy has also led to an increased focus on data protection, and security and the Healthcare organizations need to be adept and prepared before embracing Mobility and Cloud Solutions in Healthcare. The use of Mobility and Cloud access in a healthcare ecosystem has been a great accelerator for Telemedicine. Telemedicine offers patients and health care providers both freedom and accessibility. Telemedicine has ensured that geographic location does not limit a patient’s care options. Even they can now receive the highest quality of care, providing they have an internet connection and smartphone. Telemedicine saves both time and money. Patients no longer have to schedule their days around routine follow-up visits. Instead, they can hop on a conference call to get the prescription update or check-up they need. Another example, if a patient wakes up unstable and disoriented at 2 a.m. after taking a new medication. Instead of deciding on whether to visit the local hospital emergency ward or not, he can just capture a photo of the medication bottle and send it to an on-call doctor for an immediate consult. Telemedicine has been extremely useful in the mental health field than any other medical field. Now, those, seeking emotional support can find access to a therapist at the click of a button, and for far less than they would pay for a full office visit. Internet therapies, for instance, “offer scalable approaches whereby large numbers of people can receive treatment and prevention, potentially bypassing barriers related to cost, location, lack of trained professionals, and stigma.” Another potential use of Telemedicine is in the area of medical education, wherein the students can learn from watching the experts and share the best practices with an utmost ease. However, the use of telemedicine technology is fraught with risks. It is very critical for both patients and physicians to have appropriate hardware and software security in place to ensure the safe transmission of PHI and PII like Social Security Numbers and detailed medical records. Organization’s telemedicine risk management strategies must address numerous issues related to this aspect.